A new vaccine developed by the US Agricultural Research Service scientists in Ames, Iowa, can protect food animals such as pigs against both human and animal disease causing Salmonella. 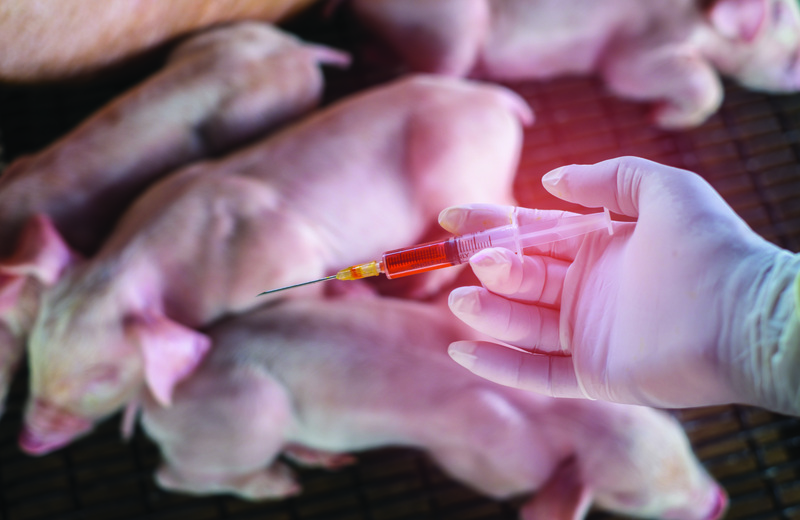 In experiments, the vaccine protected pigs against two types of Salmonella-Typhimurium and Choleraesuis. It also protected turkeys against Typhimuriumand a multidrug-resistant Salmonella type, Heidelberg-the bacterium responsible for a 2011 outbreak in ground turkey. The scientists believe that the vaccine will protect against other types of Salmonella in addition to the three strains tested. ARS has filed a patent application for this vaccine technology.